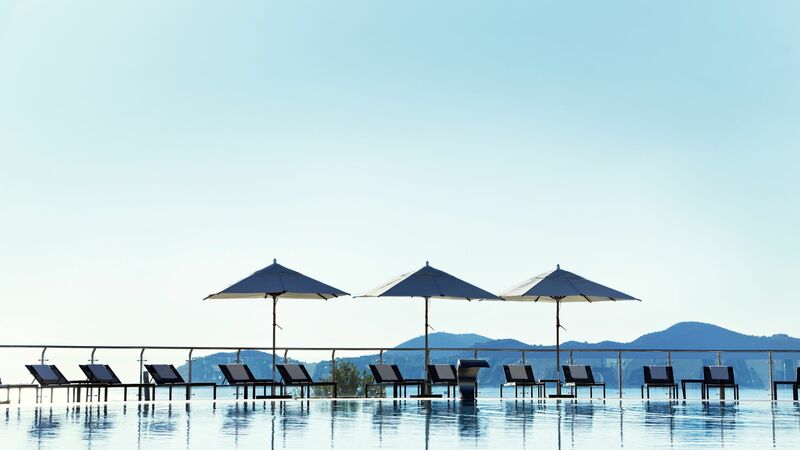 Set amidst beautiful gardens overlooking the azure Adriatic Sea and the Elephiti Islands, the Sun Gardens Dubrovnik effortlessly combines first class service with Mediterranean charm ideal for families, couples or adventurers looking to holiday in the Croatian sunshine. In the heart of picturesque Orasac, contemporary rooms and residences highlight 5-star luxury, class, and sophistication that come with a member of the Leading Hotels of the World. It’s also the ideal base for exploring the UNESCO World Heritage Site of Dubrovnik with its pretty port and stunning Old Town providing an insight into a mesmerising history. 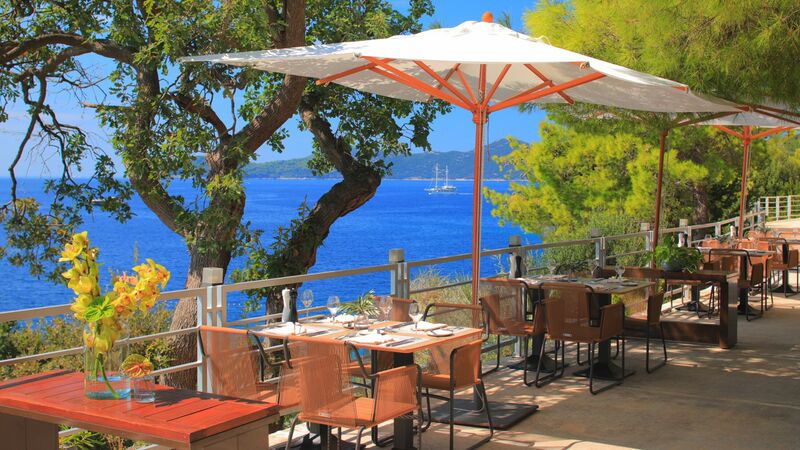 The Sun Gardens Dubrovnik elegantly unites family-friendly accommodation with luxury and opulence. 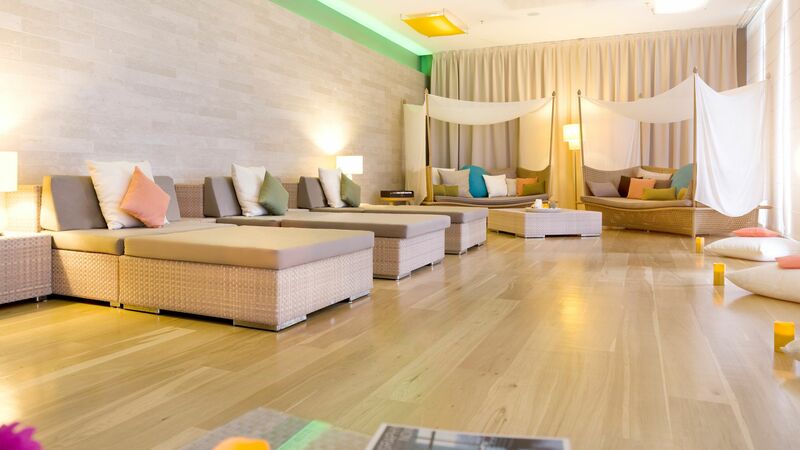 Soak up the Croatian sunshine on your own private beach or rejuvenate in the Thalassotherapy bath or indoor pool in the award-winning spa, or sample a relaxing massage, steam room, or sauna to completely immerse yourself into holiday mode. When hunger strikes, select from gourmet dining with a sea view offering first class service in magnificent Mediterranean surroundings before retiring to the Lemonia or Marina Bar for a cocktail or fine Croatian wine. Hotel child prices apply to ages 2–12 years. The hotel has 201 rooms and suites and 207 residences. 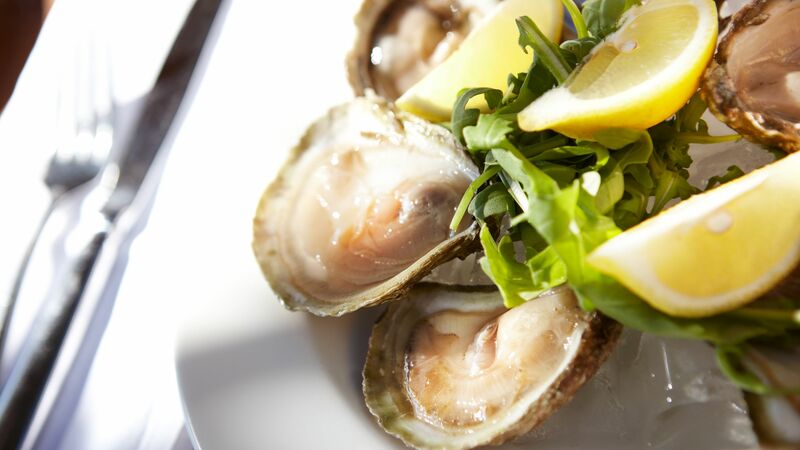 Sample authentic ingredients full of traditional flavour with a modern twist in chic surroundings overlooking the sea. Open: For lunch and dinner, seasonally. Tantalise your taste buds with buffet dishes from around the world within a casual atmosphere and with the Adriatic in the distance. 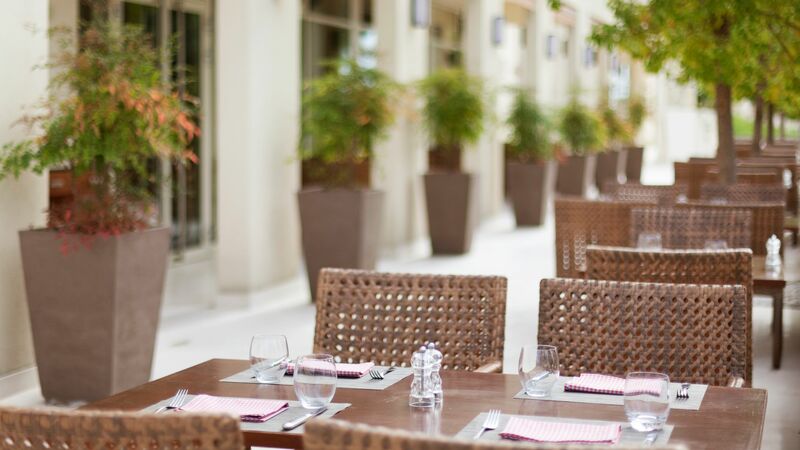 Enjoy healthy and savoury ingredients from a sunny terrace. Open: For breakfast and dinner, weather permitting. 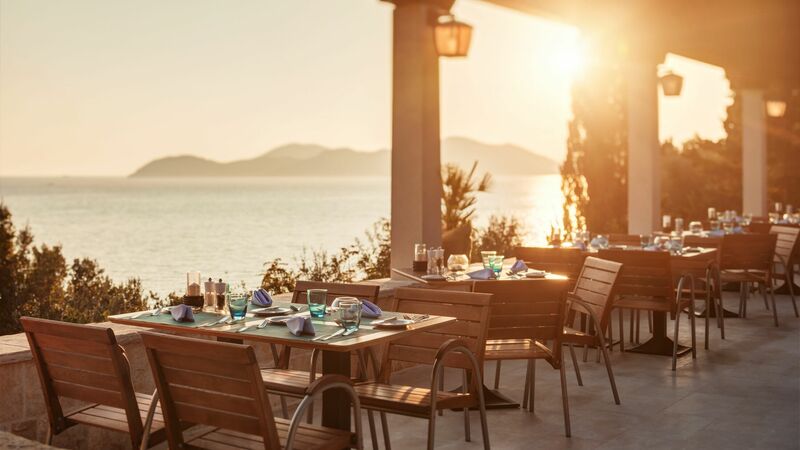 Enjoy buffet breakfast in the morning and locally inspired seafood specialities washed down with a glass of fine wine for dinner, blended with a traditional Dalmatian atmosphere. Open: For breakfast and dinner, seasonally. This mecca for meat lovers offers succulent meat dishes from around the world, cooked in a live kitchen and served by friendly and informative staff. Experience fresh and simple Italian favourites and an open kitchen within innovative interiors with rustic surroundings. Open: For lunch and dinner, open seasonally. 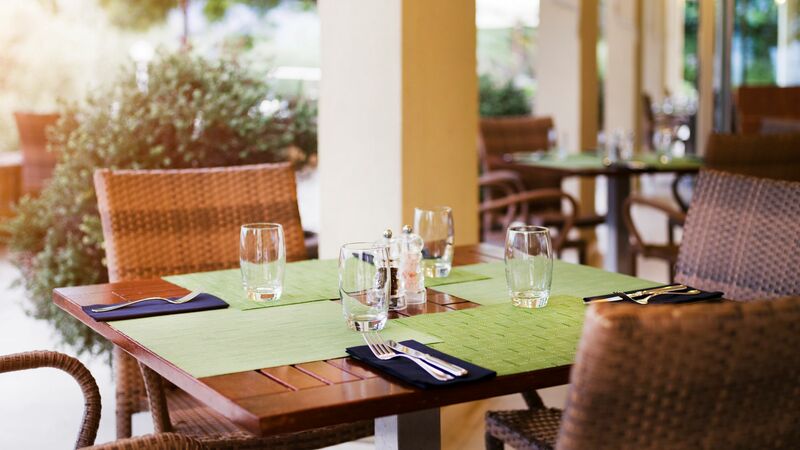 Sample gourmet dining and elegant décor overlooking the beach, with the Elephiti Islands in the distance. Open: For dinner, weather permitting. 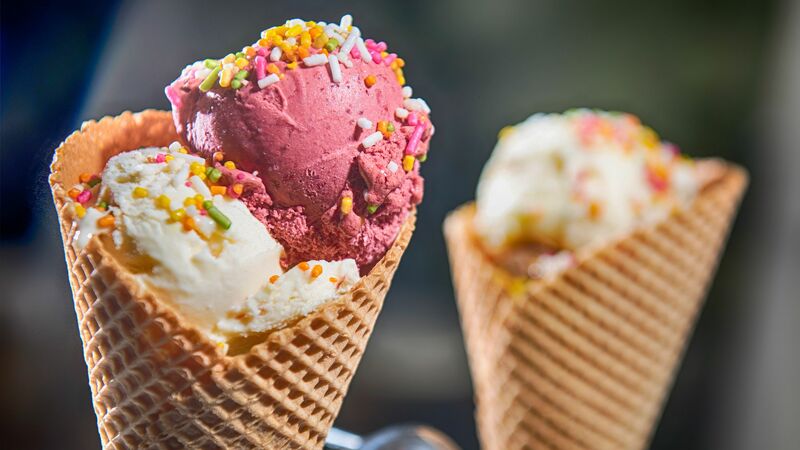 Sample mouth watering pastries, Croatian ice cream and freshly baked cakes in the summer sun. Open: 09:00 – 22:00, weather permitting. 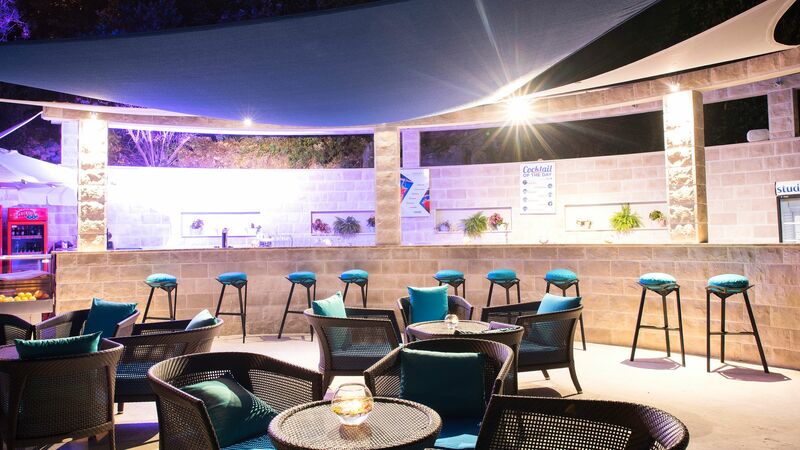 The Sun Gardens offer an impressive selection of bars including a family friendly beach bar and swanky lounge bar, in addition to three pool bars, a Sports Bar and Vitality Bar at the spa. 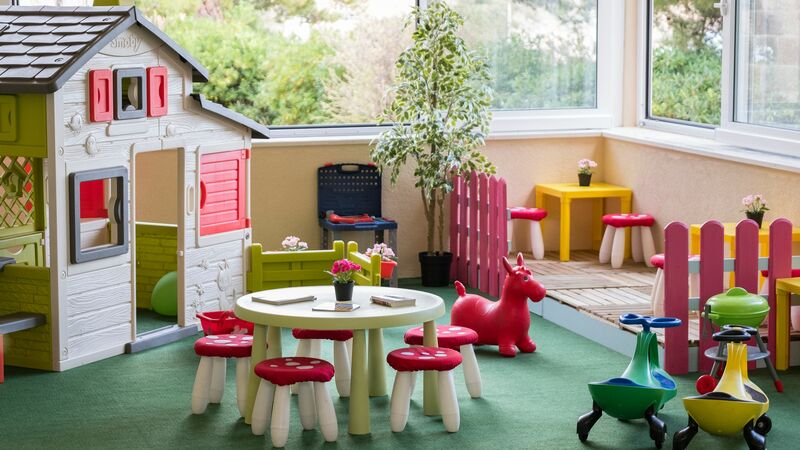 Your littlest ones will be looked after in the bright and cheery Windroses South & South West room. Opening times are from 10:30–16:30 six days a week. With a variety of toddler’s, children’s and teenager’s clubs available, younger guests can enjoy a ful day packed with activities, including arts and crafts, snorkelling, archery, disco and boat trips. Ages: 3 – 17 years. Open: From May to September. Sit back and relax in this award winning spa as you unwind with products made from natural ingredients, or visit the sauna, steam room, or Thalassotherapy bath before sampling a range of treatments. Experience culinary delights from cooking classes to demonstration groups, mixology and wine tasting led by a team of experts. Choose from a range of indoor and outdoor activities, including badminton, climbing, sand volleyball, basketball, tennis or fitness classes. 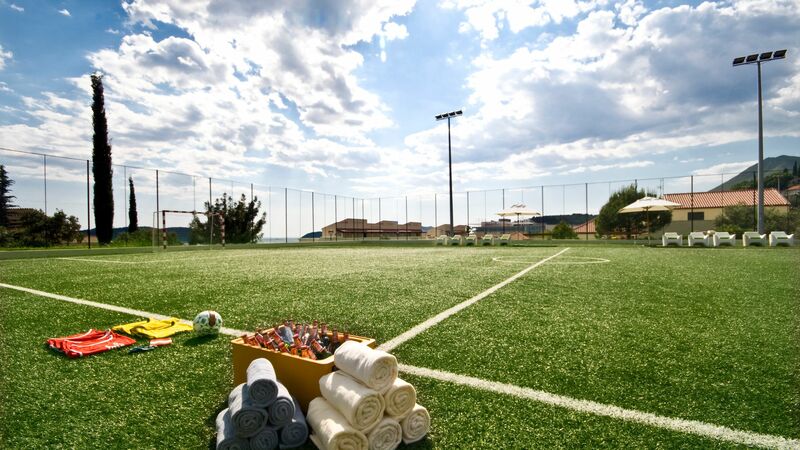 Guests can also perfect their sporting skills, including tennis, swimming, basketball and water polo in one of the Sun Gardens’ popular training programmes. Enjoy live entertainment, music and shows throughout the summer months, including the Sun Gardens Festival. Open from sunrise to sunset, guests can enjoy stunning water features, impressive bar and dedicated kids pool at the sunset pool. The Marina pool is for adults only and is the perfect sanctuary to soak up the Croatian sunshine, enjoy peace and tranquillity and relish in the attentive service. Families will love the Lemonia, which is the perfect place for some precious family time splashing in the sunshine. The quaint coastal village of Orasac is just 11 kilometres and a 30 minute drive from Dubrovnik and is perfectly placed for a seaside escape, set next to the clear waters of the Adriatic and looking out towards the gorgeous Elaphite Islands. Its surroundings are all about natural beauty (pine-forested hills, olive groves, dramatic coastline), yet the bright lights and UNESCO-listed sights of Dubrovnik are less than 10 kilometres away. With just a handful of restaurants and shops in the village, things stay pretty peaceful in comparison to busy Dubrovnik. You still get a slice of history, though – Orasac dates back to 1040, and old churches (including the Church of St. Nicholas, built in 1250) can be found among the typical Croatian houses in the village centre. 40 minutes from Dubrovnik airport. Standard Rooms measure approximately 34m² and offer elegant, comfortable, furnishings and panoramic views. Facilities include minibar, tea & coffee making facilities, satellite TV, complimentary Wi-Fi, safe, bathrobes and slippers. Deluxe Rooms measure approximately 34m² and feature beautiful sea views from the private balcony. Facilities include minibar, tea & coffee making facilities, satellite TV, complimentary Wi-Fi, safe, bathrobes and slippers. Club Rooms measure approximately 34m² and are located on the top two floors, offering magnificent sea views overlooking the Elaphiti Islands. 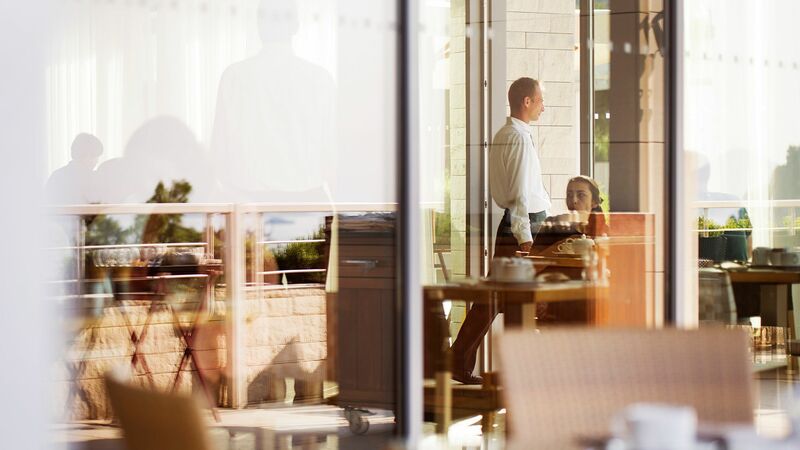 In addition to regular facilities, guests staying in Club Rooms also receive personalised check-in and check-out, daily newspapers, welcome tray with wine and canapés, daily fruit basket and Nespresso® coffee machine. Deluxe Suites measure approximately 68m² and feature a bedroom, separate lounge, bathroom with a bathtub and separate shower area and a private balcony with views over the Adriatic Sea. Facilities include minibar, tea & coffee making facilities, Nespresso® coffee machine, satellite TV, complimentary wifi, safe, bathrobes and slippers. Located on the higher floors, Club Suites feature seaside views and benefit from a bedroom, bathroom with bathtub and separate shower and an open lounge. In addition to regular facilities, guests staying in a Club Suite also receive personalised check-in and check-out, access to the Club lounge with open bar service with complimentary coffee, tea, soft drinks and selected spirits. Guests also receive a welcome tray with wine, flowers and canapés, daily fruit basket and Nespresso® coffee machine. One Bedroom Residences Garden View measure 45m² and each residence comes equipped with a full kitchen, a spacious living room with sofa bed, a master bedroom and a stylish patio area overlooking the resort grounds and gardens. One Bedroom Residences Sea View measure approximately 56m² and feature a fully equipped kitchenette, living room with a sofa bed and additional guest toilet as well as lovely sea views overlooking the Elaphiti Islands. Two Bedroom Residences with Garden View measure 85m² and feature two bedrooms, two bathrooms, a kitchenette and living area plus a furnished private patio or balcony. Two Bedroom Residences Sea View measure 85m², have two bedrooms, each boasting an en-suite, a fully kitchen, spacious living room and a sea view terrace with seating, these spacious residences provide the ideal option for families or groups. These rooms can accommodate up to five adults. Save up to 20% discount on the hotel price when staying in a Two Bedroom Residence with Garden View or Two Bedroom Residence with Sea View. Save up to 15% discount on the hotel price when staying in a One Bedroom Residence with Garden View or One Bedroom Residence with Sea View. The above offers are valid on holidays between 28 April - 23 May 2019 and 26 May - 09 June 2019, booked by 19 April 2019. Save up to 15% discount on the hotel price for holidays up to 27 December 2019, booked by 30 April 2019. Save up to 20% discount on the hotel price when staying in a Two Bedroom Residence Garden View or Two Bedroom Residence Sea View for holidays between 28 April - 23 May 2019 or 26 May - 09 June 2019, booked by 19 April 2019. Please note, these offers are not combinable. Our friends recommended this resort to us. My husband wasn?? ?t happy with the choice at first but as soon as we arrived, he was blown away. Beautiful scenery, sea view from every corner of the resort, and from our residence as well. Girls loved the kids club, they were entertained while we enjoyed at the adults only pool. Spa is highly recommended, amazing spa zone and therapists are fantastic. There are numerous options for lunch or dinner, food is amazing in every restaurant. We?? ?re looking forward to our second stay in July. Having booked (and paid for) this hotel via British Airways holidays in August 2018 for a trip this Easter 2019 I have heard today that it has been cancelled because the hotel has taken on a block booking! Shocking giving us only 4 weeks notice. I would love to be writing a good review but alas I won't have the chance. Worst customer service ever - you should be ashamed of yourselves. Far too late now for me to find something else. “ Not my cup of tea ?????? Upon check in I had high expectations as the hotel looked great and check in was seemless. We were taken on a golf buggy to our apartment. As soon as we turned up to the entrance of the apartment I was instantly disappointed as the area and lift looked tired and this continued into the room. Although the room was clean and had all the amenities (separate kitchen/bathroom/bedroom/ lounge and balcony) the place was just a little tired and the furniture was stained and grubby. We ate at the Italian and the food was adequate and almost canteen like. I liked the setting of this hotel/ apartments and I think it would suit families with all the amenities contained on site but as a couple it didn't suit us. I would recommend this to anybody travelling with a small family. The hotel had everything we needed including good quality restaurants, spa and pool facilities and a local supermarket. It has a great (though rocky) private beach and excellent access to the Old Town of Dubrovnik via boat. The staff were great and I found them all to be highly intelligent. In particular, the bar staff provided great Old Fashioneds and White Russians in the evening (Josip at Maraska was great). Likewise, it became a daily tradition for me to have grilled vegetables and seared salmon at the Origano restaurant (all staff there were very accommodating and the chef made a point of regularly coming out to talk). A nice standout for me was eating a fresh filleted sea bass - catch of the day from the Dalmatian coast! It was also quite educational from a historical standpoint (recent back to Roman history). Stayed in the main building close to conference halls, restaurants and Spa. Rooms are spacious and have big and comfortable beds. Bathroom and shower are clean and in perfect condition. Room service is of a high quality. Staff and front desk are friendly and very helpful. Airport transport easily arranged by the hotel.